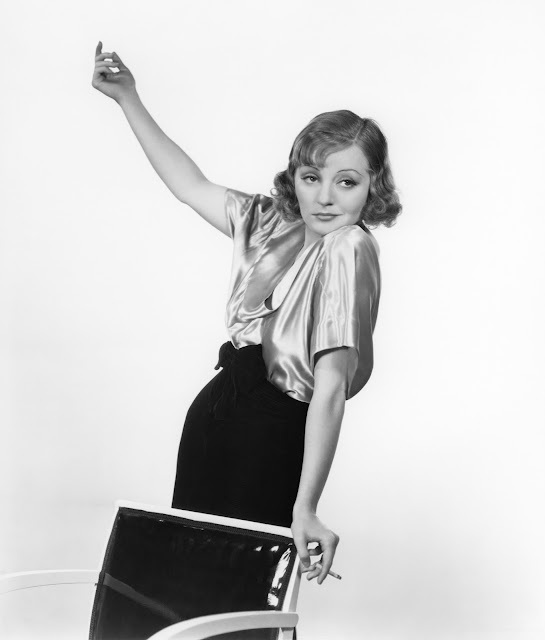 Darlings, Tallulah Bankhead was a hilarious star of stage and screen and the host of NBC's The Big Show from 1950-1951. The ostentatious Alabaman introduced each week's lineup of spectacular stars (Ethel Merman, Fred Allen, Groucho Marx, Martin and Lewis, Rosemary Clooney, you name 'em) and jousted with them in witty exchanges. The ambitious and extravagant extravaganza was hosted in the 3,000-seat Center Theatre. Each show opened with the theme song "A Hand Full of Stars," Bankhead's monologue, and then the wide array of guest stars singing, dancing, or performing sketches in an ensemble. The indomitable Tallulah, who, legend claims, smoked about a hundred and fifty cigarettes a day in rehearsals, was sometimes a bit thorny with guests. It was mostly all in good fun, but sometimes a bit uncomfortable. For example, Jose Ferrer showed reluctance at being called, by Bankhead, the day's best stage actor, Tallulah quickly shot back that he was right, he probably wasn't. You may remember Bankhead's roles in such films as "The Trap," "My Sin," "Faithless," "Lifeboat," and "A Royal Scandal." And did you remember that she also played Black Widow in two 1967 episodes of the TV series "Batman"? 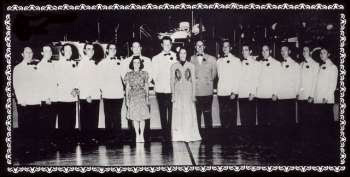 January 28, 1940: Beat the Band was first presented on NBC, featuring The Ted Weems Band. Listeners' questions were selected in the hopes of stumping the band. The questions were posed as riddles: What song title tells you what Cinderella might have said if she awoke one morning and found that her foot had grown too large for her glass slipper? If a listener's question was chosen, he or she received $10. If the band played the correct musical answer, Where Oh Where Has My Little Dog Gone?, the listener lost. When Raleigh cigarettes sponsored Beat the Band, the listener who beat the band won $50 and two cartons of cigarettes ... Raleighs, of course. The sponsor then changed to General Mill's Kix cereal, and whenever the listener beat the band, he/she won twenty bucks and a case of Kix cereal. The first series of the show was broadcast every Sunday at 6:30 PM. It was later relocated to New York in 1943, to serve as replacement for the Raleigh Cigarettes Program. Beat the Band lasted for four years, with its last episode airing on September 6, 1944. 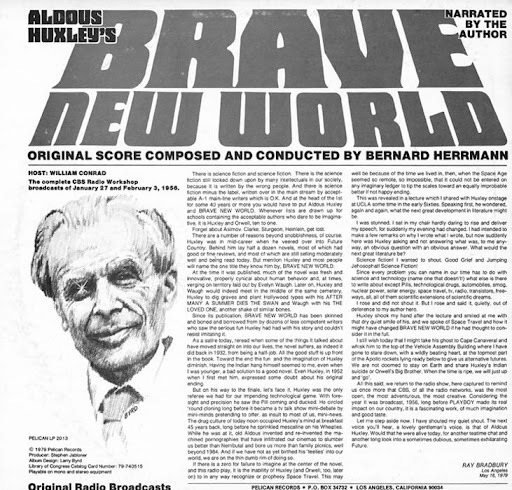 January 27, 1956: The first transmission of ‘Radio Workshop’ starring Aldous Huxley took place on CBS. He spoke about his novel Brave New World in this show. Radio Workshop' was an experimental show which eventually failed. Its aim was to overshadow television, which simply could not be accomplished.